ambulance driver Arnold Albo. 57/58: Mrs. Frances L. George, 80, testing hypodermic. 59: Mrs. Tholen D. Garrett awarding pin to Mrs. George. 60/61/62: Mrs. Frances L. George, 80, walking with Sandy Cantrell, 10. 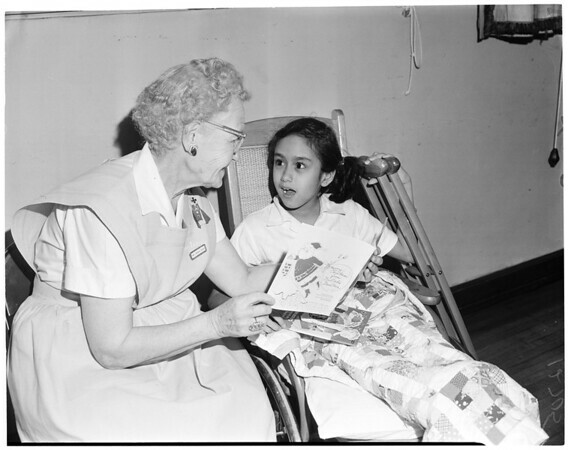 63: Mrs. George reading to Karen Lyles, 10. For Sat. ".